Tiger Shroff starrer Baaghi 2 is now entering the books of some major Box Office records. With 148.45 crore collected in two weeks (the second week brought in 35.60 crore), the film is not just set to cross 150 crore today, it is also well on track to enter the list of Top-20 Bollywood grossers ever (since the advent of 100 Crore Club). While the lifetime number of Tanu Weds Manu Returns will be crossed by the end of third weekend, Dabangg 2 will be gone by the end of third week. That would bring Baaghi 2 at the No. 19 slot. This is where the film will continue to stay though as Bang Bang total of 181 crore is out of question. Nonetheless, this still is a huge achievement for this Blockbuster by Sajid Nadiadwala, Ahmed Khan and Fox Star since all films in the list above are dominated by the big and experienced stars, barring Ranveer Kapoor [Padmaavat, Bajirao Mastani] and Ranbir Kapoor [Yeh Jawaani Hai Deewani]. Even there, the record was achieved by Ranveer in his eighth and Ranbir in his tenth film. 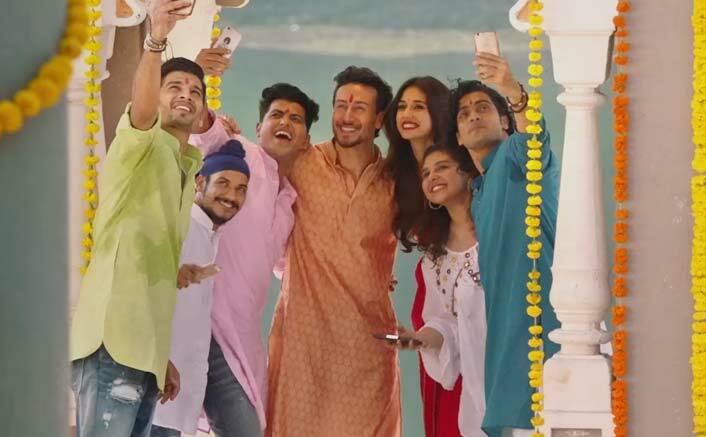 Here, Tiger Shroff has hit this huge six with just his fifth film and that’s what makes the super success of Baaghi 2 all the more exciting for all involved. The post Box Office: Baaghi 2 Set To Enter Top 20 Bollywood Grossers appeared first on Koimoi.